A life of any real depth involves an ongoing questioning: Why am I here? Who am I? What is the meaning of life? What is there beyond thought and beyond this life? Ultimately though, the operative questions are: How am I to live? What am I to do with this life? How can I live a life of quality, with inherent meaning and value? To answer these questions involves a spiritual journey that requires a liberation of the soul from a lifetime of conditioning, i.e., Soul Work. 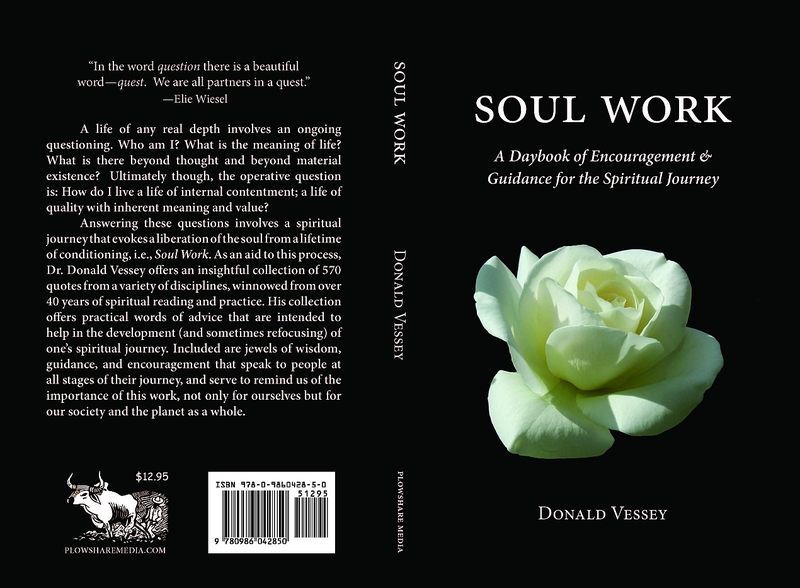 As an aid to this process of recovering a life of the spirit and our true sense of Being, Dr. Donald Vessey offers a collection of 570 quotes of sound guidance and encouragement that speak to people at all stages of the spiritual journey. Taken from a variety of disciplines, these quotes have been winnowed from over 40 years of spiritual reading and practice. 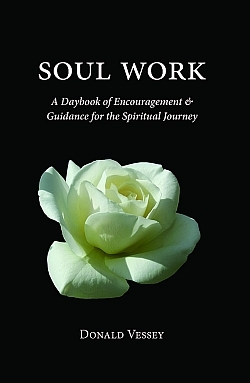 His collection offers practical words of advice that are intended to help in the development, and occasional refocusing, of one's spiritual practice. There are words of encouragement to provide motivation, when necessary, to stay the journey; not only reminding us of the importance of our spiritual work for ourselves, but for our society and planet as a whole. There is a particular emphasis on contemporary viewpoints reflecting our evolving understanding of the world around us and of our own psyches. This book will provide the reader with a fuller comprehension of our spiritual nature; and with 250 references it also provides a guide to the relevant literature.